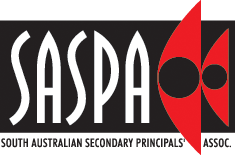 This year CyberHound will sponsor the SASPA’s A Conversation with Leaders: Well-Being and Resilience Programs. CyberHound’s Director of Marketing and Communications, Tony Dempsey, will presenting on protecting students online through digital citizenship. It has been almost 10 years since the Education Department issued its fabulous Learner Well-being Framework, but much has happened in our schools since then. One of the key developments since Dr Martin Seligman’s 2012 Adelaide “thinker in residency” has been the increasing interest of our educational leaders in Positive Education.